(March 19, 2018) -- UTSA President Taylor Eighmy today announced the selection of five finalists under consideration to become the university’s next chief academic officer. The finalists for Provost and Vice President for Academic Affairs will visit campus over the next three weeks to meet with faculty, staff and students. Each finalist will have meetings with the executive committees of the Faculty Senate, Staff Council and Student Government Association, as well as members of the Senior Leadership Team, Department Chairs Council, Provost’s Staff, UTSA’s Academies of Distinguished Teaching Scholars and Researchers, and search committee. In addition, the candidates will participate in two moderated open forums—one at the Main Campus and one at the Downtown Campus. During the forums, Roadrunners will have the opportunity to hear each finalist give an overview of their qualifications, their interest in the position and their vision for the academic enterprise at UTSA, followed by a question and answer session with the audience. 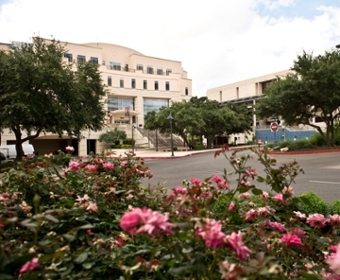 The forums are open to all members of the UTSA community. Junius J. Gonzales, M.D., M.B.A. Faculty, staff and students will have the opportunity to offer their input regarding the candidates via evaluation forms, which will be distributed at each open forum. The search for UTSA’s next Provost launched in December with the appointment of a broadly representative search committee chaired by Margo DelliCarpini, dean of the UTSA College of Education and Human Development. More information about the candidates can be found on the Provost’s Search website, including short biographies and their full CVs. Interim Provost and Vice President for Academic Affairs Mauli Agrawal will be leaving UTSA in June to assume the chancellorship at the University of Missouri-Kansas City. The new Provost is expected to be appointed as early as June.